Little Ree and her best friend, Hyacinth, love learning to bake with their grandmothers, especially when pie is on the menu. So when they find out about a pie-baking contest at the fair, they can’t wait to enter. But Little Ree and Hyacinth don’t want to bake just any pie, and they want to pick their own berries. Can the two friends bake the best pie ever and take home the blue ribbon? 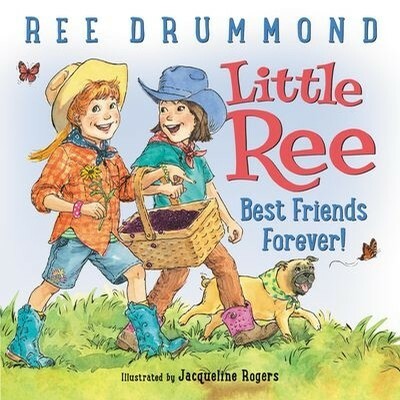 With warmth and humor, Ree Drummond’s new picture book reminds us of the essential ingredients for friendship and treats us to a delicious blueberry pie recipe at the end.